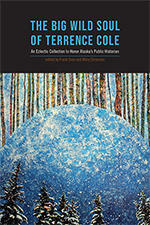 On this New Year’s Day episode, we hear of a new book examining the life and academic contributions of Terrence Cole. Dr. Mary Ehrlander talks about The Big Wild Soul of Terrence Cole. And we revisit a conversation with Terrence and his twin Dermot Cole about their life today and their sometimes-unique upbringing. You can listen to the program here.